The holiday season coming and Microsoft seems to be gearing to bring some new games bundle with its Xbox One console. Today Microsoft launched a new Xbox One S Fortnite Bundle for Xbox One fans who loves playing games on Xbox console. 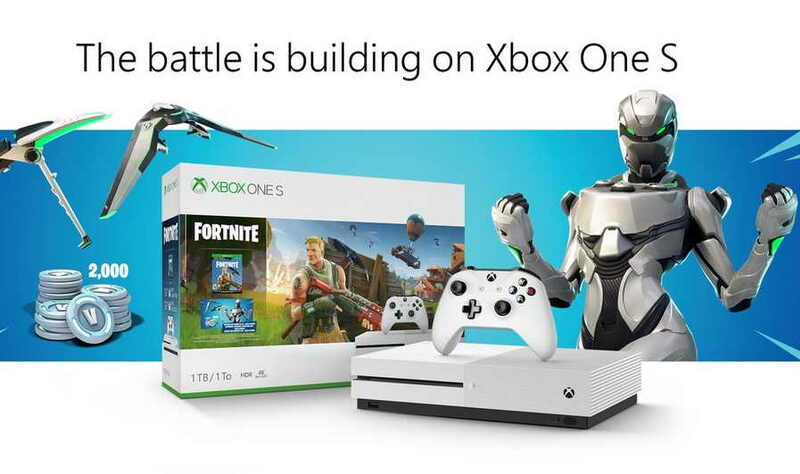 The new Xbox One S Fortnite Bundle includes an Xbox One S console with 1TB internal storage, an Xbox Wireless Controller, a full-game of Fortnite Battle Royale with the full Eon cosmetic set (Legendary Eon Character Outfit, Epic Aurora Glider, and Rare Resonator Pickaxe). The bundle also includes 2,000 V-Bucks to purchase a Battle Pass and other in-game items it also includes 1-month trials to Xbox Game Pass and Xbox Live Gold.